We've included listings for companies such as Trestlewood and Conklin's inside our Pine Siding guide. Since 1977, this company has offered hard-to-find specialty lumber to builders and homeowners alike. 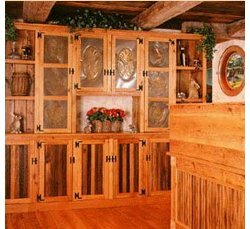 Specialties include Western Red Cedar, Alaskan Yellow Cedar, Redwood, Douglas Fir, Ponderosa Pine/Spruce, Port Orford Cedar and others. Products include boards, siding, beams, peeled logs, flooring ... to name a few. Suppliers of log homes and log cabins, as well as shiplap log home siding. Homes available in both white pine and white cedar.